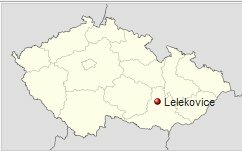 Lelekovice belongs to South Moravian region, Brno-venkov district. You can find it about 10 kilometers north from Brno center and it's one of the villages which are quite rapidly growing as it's in small distance from Brno which provides many jobs and other opportunities. It lies in valley of Ponávka river and it's surrounded by small hills (usually abt 360 to 390 meters above sea level, highest is Babí Lom with 562 meters). 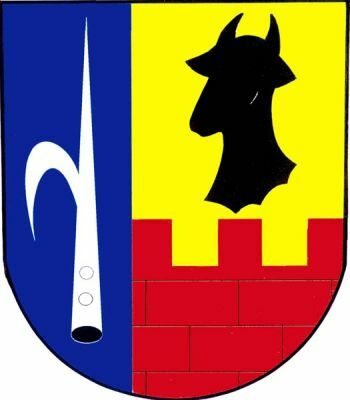 Its coat of arms contains quite many references to the history of village: bull's head refers to the noble family of Lelekovice to which the village belonged in 14th century. Hook refers to family Válecký from Mírov which later owned the village, fortification reminds people there once was a castle in Lelekovice. 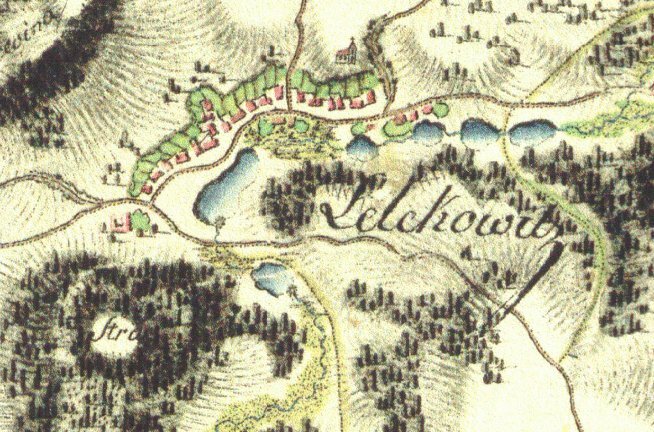 The oldest known source which mentions Lelekovice village comes from 1288 when Heřman of Lelekovice is named as a witness in a document by Hartman of Holštejn. The village itself had to be founded before this year, most probably in the first half of 13th century. 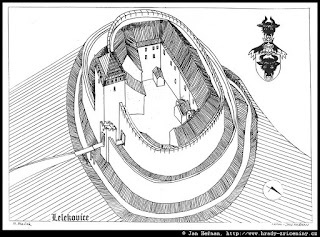 Local yeomans with title "of Lelekovice" were know during the 14th century, they also built a castle. Unfortunately the castle was destroyed in 15th century and there is just a little of it preserved. There were many changes in ownership of Lelekovice domain in 15th and 16th century until it became property of Válecký of Mírov family in 1543. They stabilized the domain, incorporated it to Kuřim estate, ensured its income and also made first "census" of local farmers. It comes from 1570 and hopefully it will be available on Moravian Land Archives website soon. The village Lelekovice was sold to the town Brno in 1557 and it belonged to its property till 1848 when large administrative reform was done. The village was lucky one during the 30 years war as it wasn't so heavily impacted by it as other villages in Brno administration. Only few farmhouses were abandoned, most of them were still maintained by their previous owners. The oldest building in the village is the church of Saint Filip and Jakub. It was built in 13th century in Roman style, then rebuilt in Gothic style during 15th century. The church originally had wooden tower, which was replaced by stone one in 1873. Lelekovice belong under administration of Moravian Land Archives in Brno (which is not far away from the village). 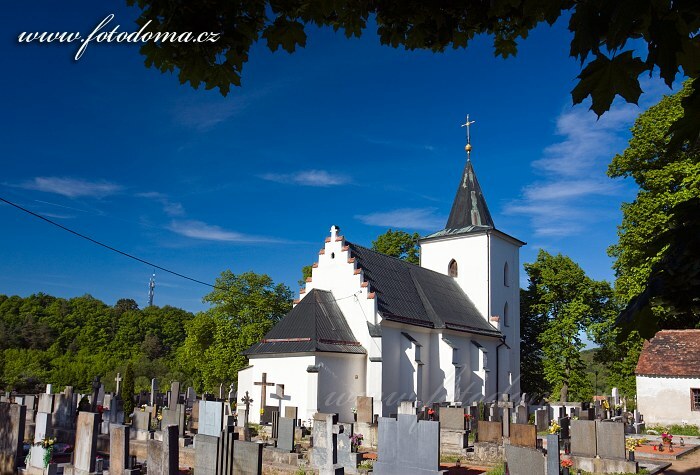 It belongs under Vranov parish from 1784, records before this year could be found in Lipůvka, Kuřim or Brno - St. Jacob parishes. Parish books are available online on ActaPublica website. Very interesting. Would love to see a post like this on Velke Karlovice, Moravia. Thanks. Thank you for this wonderful website. My family comes from Zebnice and later Obora in Plzen North. Both villages belonged to the Monastery at Plasy at one time. I found a comment that only 7 houses remained in Obora after the 30 Years War. I would love to know more about these villages and how the 30 Years War affected the area. It seems that the church records only begin after that war. I'll add the village to the list of "to-do" villages. Policka, Borova, Oldris. Old maps and town photos. 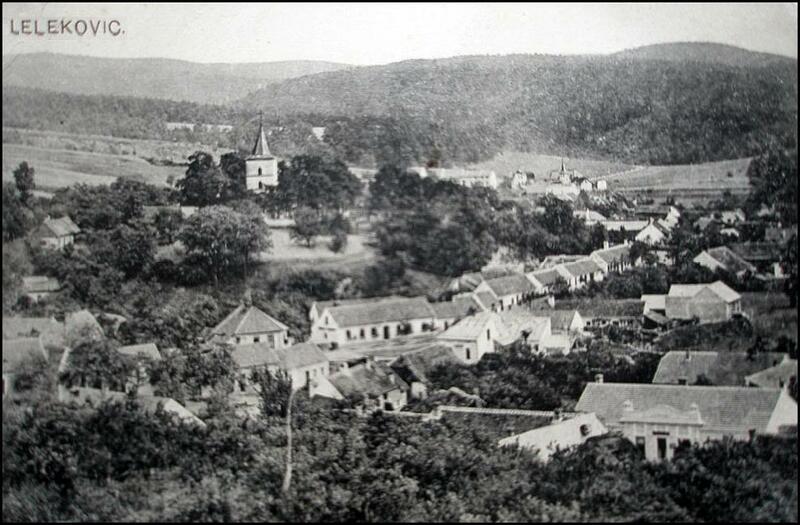 Interesting information, It is said that my GGGGG grandfather was actually born in Austria in1729, as an infant his parents moved to Bohemia, in the town or village of Cöhnon/Cohman, Bohemia, has anyone heard of this place and if so where in Bohemia might this be.. thank you for answering me. Hi Carol. I am using a gazetteer at http://www.genteam.at/index.php?option=com_ortsdb to try to locate this town. Such a wonderful site. It is free but you must use a sign-on. Nothing comes up at all with either Coh... or Koh... There is a Comano in northern Italy, just SOUTH of Austria. A place called Komania is also in northern Italy. There is a Mlyn Komankuv in Moravia. I am not finding anything like what you mention in Bohemia. Hello, Blanka! I will add to your list. My grandfather's family originated in the parishes of Lasovice, Kovarov,and Milevsko in Jihocesky kraj. So I would love to read any history on their villages of Zahorany, Zebrakov,Vesec, Chlumek or Kostelec nad Vltavou. But I know they are very very tiny villages with likely very little history. Thanks for your work and keep the cute photos coming! I think Technice has had some interesting history, though. Hello, My soninlaw was born in 1980 in Nowy Sacy (sp) outside Pilzen. His maternal family name is Kucera from this area. His paternal name is Stanek, they lived in Pilzen and Prague. We do not know much about the Stanek/ Stanekova original location. It is interesting that you were born near and in the same year as my soninlaw. Thank you for any information. The village is Nova Hut, near Pilzen for Kucera. Sorry, the village Nowy Sacy is my husbands family. Am interested in the Village of Kralovstvi (German sp Konigreich) north of Prague almost on the German Border. I can find the location but nothing on the history, etc. Are you able to help by naming sources besides Wikipedia, Google etc. Trying to find where my grandfather, Peter Joseph ZACEK b.1894 Czechoslavkia or Austria came to US in 1914, believe TX. I'm on several group sites for some guidance. Tried checking CZ. records, but don't know village (search for name right now). My grandmother was born in Lacnov with Parish being Valasske Klobouky (Wallachain Hat)in southeastern Moravia. (Forgive lack of accents). We still have family in both towns. Would be interested in any history of that area if you have not already published. My ancestors were serfs so any info relating to who the lord of estate was would be interesting, My second cousin said their town was established as a royal city, perhaps in the 13th century. My grandfather was born in Sehradice though his family records are mainly from Vrbetice, parish Vlachovice. His mother is from Stita nad Vlari.